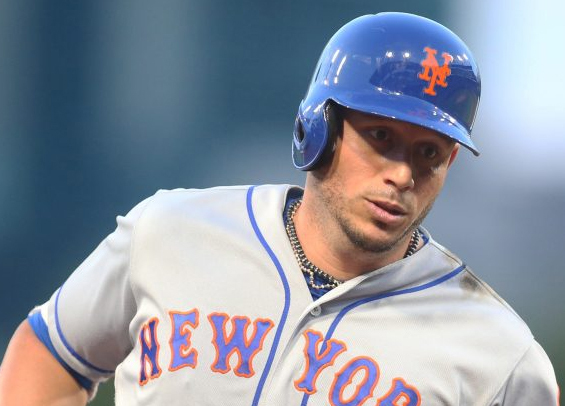 It's been clear for the past few weeks that the Phillies were in need of a reliable bat to add to the lineup, so the club officially pulled the trigger on Friday evening acquiring infielder Asdrubal Cabrera from the Mets for Double-A right-handed pitcher Franklyn Kilome. Cabrera, 32, is hitting .277/.329/.488 with 23 doubles, 18 homers, 58 RBI and 48 runs this season. He'll likely take over at shortstop, though he's played exclusively at second base in Queens. Production from the shortstop position has been a real issue for the Phillies this season. Per Baseball Reference, the club ranks 28th in WAR at the position with -1.9. For comparison, Cabrera has a 1.1 WAR over 98 games this season. Cabrera isn't going to solve the Phillies' defensive woes as his range is limited, but Scott Kingery has struggled defensively too, making this a trade more about offense than anything else. It's a conservative move for general manager Matt Klentak, but that's not necessarily a bad thing. Trading a top prospect, like Sixto Sanchez, for a rental, is rarely a good idea. In Kilome the Phillies gave up a 23-year-old pitching prospect who was 4-6 with a 4.24 ERA, 1.44 WHIP, and 83 strikeouts in 102 innings at Double-A Reading.